Research has shown that sleep is a key player in recovery and performance, yet the number of adults not getting adequate sleep is on the rise. For runners, our bodies depend on a good night’s sleep to repair and to regenerate from the demands of the day and from our training program. A lack of sleep has been proven to lead to an increase in risk of injury and fatigue, as well as a decrease in reaction time, speed, endurance, and immune support. Maintain a regular sleep routine. It is key to go to bed and wake up at the same time each day of the week. (Yes, this includes weekends). While sleep needs vary person to person, the average person requires seven to nine hours of sleep a night. Keep your bedroom for sleeping! Do not watch television, talk on the phone, or eat snacks in bed—you will begin to associate your bedroom with wakefulness, which will disturb your sleep. Reduce your exposure to blue lights. While the light emitted from our electronic devices boost mood and attention, they are disruptive to our sleep cycle by suppressing melatonin and shifting our circadian rhythms. Be sure to minimize your device usage in the two to three hours leading up to bed, and utilize night-shift options or blue-ray blocking glasses. Limit your alcohol intake. While alcohol may help you fall asleep quicker, it unfortunately leads to poor quality sleep the rest of the evening by limiting your REM sleep. Try to limit your consumption of alcoholic beverages, have water in between drinks, and stop drinking a couple of hours before bed. Have a bedroom you enjoy! This may seem like a no brainer, but having a mattress you love, a temperature you find comfortable (somewhere between 65-70 is usually optimal), and an ambiance you find calming will help you get better shut eye! Pamela Geisel, MS, CSCS, CPT is an Exercise Physiologist and the Manager at Hospital for Special Surgery’s Tisch Sports Performance Center. She graduated with honors from Towson University with a bachelor’s in exercise science and received her master’s in exercise physiology from Adelphi University. She has been in the fitness field since 2007 and has a special interest in using strength training to maximize performance and reduce injury for runners. Geisel is a long-distance runner and has completed nine marathons, more than twenty half-marathons, and many 5K and 10K races. 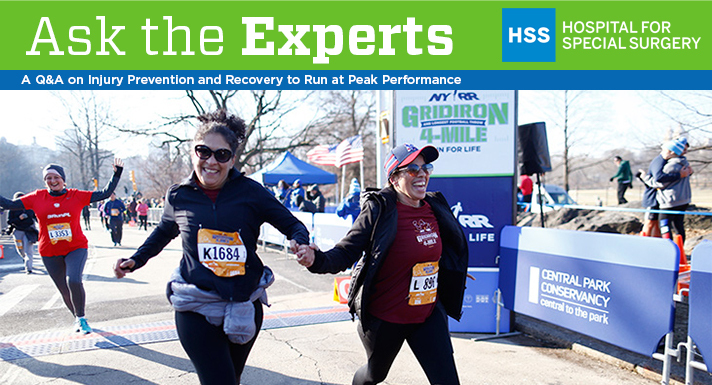 Pamela Geisel, MS, CSCS, CPT is a Performance Specialist at Hospital for Special Surgery’s James M. Benson Sports Rehabilitation Center and Tisch Sports Performance. She graduated with honors from Towson University with a bachelor’s in exercise science and received her master’s in exercise physiology from Adelphi University. She has been in the fitness field since 2007 and has a special interest in using strength training to maximize performance and reduce injury for runners. Geisel is a long distance runner and has completed five marathons, more than a dozen half-marathons, and many 5K and 10K races.